David Stubbs is a journalist and author whose work covers music, TV, film, sport, comedy, and cultural commentary. He has written for, among others, NME, The Wire, The Guardian, The Sunday Times, New Humanist, Uncut, The Quietus, When Saturday Comes and The Daily Mash. He was formerly staff writer at Melody Maker between 1987 and 1998, where he divided his time between extolling the virtues of avant-rock and electronic music and writing the comedy section, Talk Talk Talk, creating the Mr Agreeable character. He also wrote scripts for Alan Davies and Bill Bailey at this time. 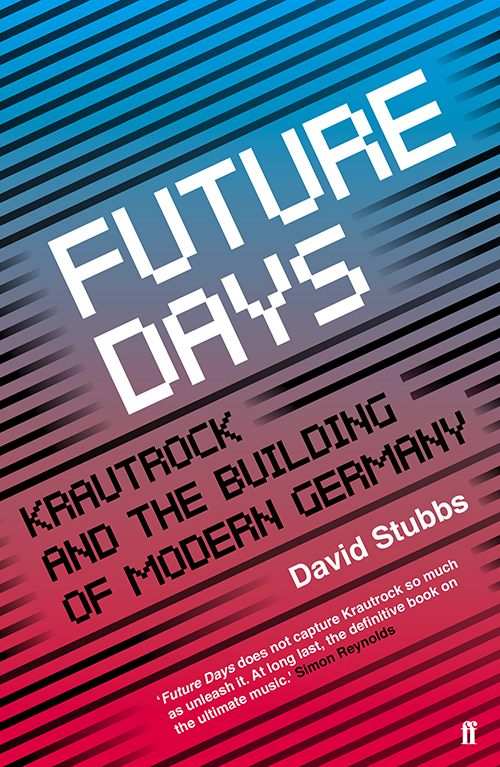 He is the author of numerous books, including Fear Of Music: Why People Get Rothko But Don’t Get Stockhausen (Zero, 2010), The Prince Charles Letters (Aurum, 2011) and Future Days: Krautrock And The Building Of Modern Germany (Faber, 2014). Mars By 1980, his wide-ranging study of the history of electronic music, is his latest book and is published by Faber. David lives in London.